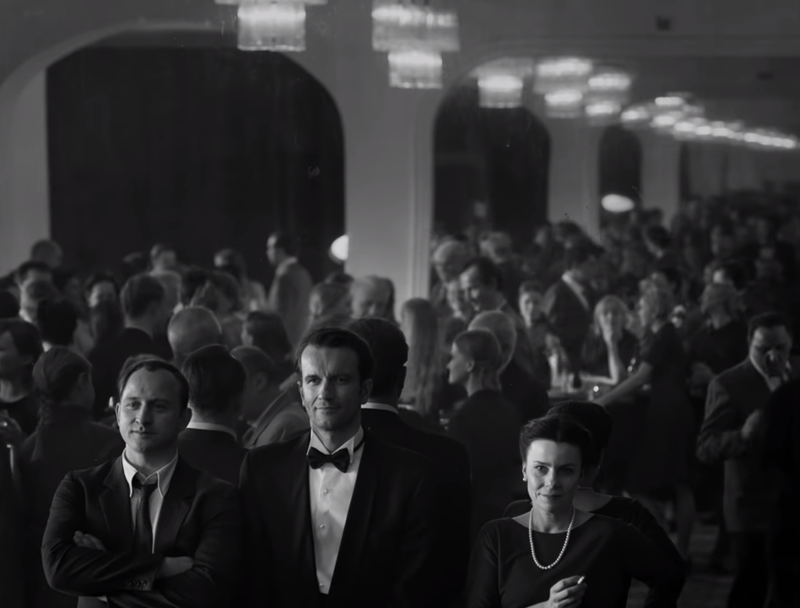 Cold War is a Polish historical drama by Polish filmmaker, Pawel Pawlikowski. The film is loosely based on the lives of his parents. It has been gaining quite a lot of attention in the film community within the last month or so, especially after it earned various awards abroad, and justly so. Cold War follows a pair of unconventional lovers, Zuzanna Lichoń and Wiktor Warski, who are played by Joanna Kulig and Tomasz Kot, respectively, as they experience a number of misfortunes in their relationship. With all its parts, it establishes a whole that presents a wonderfully woven and tense story of a relationship during the heart of European politics at its most hectic— showing that love transcends both time and geography, no matter how tested and even to the point of condemning those involved. One of the first and obvious points to make about this movie is its style and choice of aesthetic. Shot in a dark and grim yet beautiful black and white, the film retains a very nostalgic aura, paired with its 1.37: 1 aspect ratio, known as the Academy ratio, that adds an old school Hollywood essence. The visuals punctuate the mood of this romance from the Cold War era, accentuating a strained sense of social life and the frigid nature of countries such as Poland and Yugoslavia. Thanks to Łukasz Żal, Cold War excels cinematographically with a plethora of intimate close-ups, immersive shots capturing lively motion or deathly stillness, and wonderfully crisp landscapes that make many of the film’s stills look like an intricate painting. 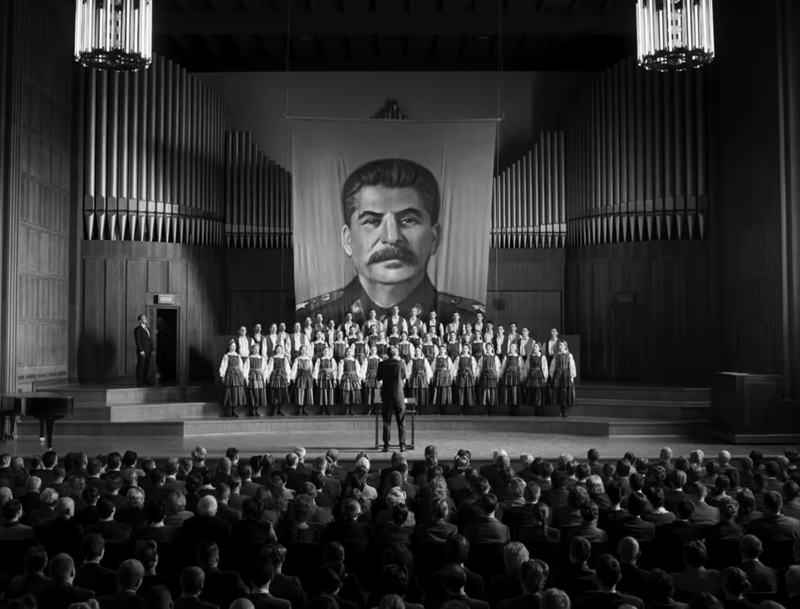 Whether it is an extremely bright shot of actress Kulig singing in a smoky bar, a wide one of a beautiful field, or a close shot of a countryside church’s mural in pieces, Cold War is a visual spectacle to behold. Such is all done in spite of the restricted size and lack of color in these shots, which in turn works to the ultimate benefit, contributing to the slick nature of the film. 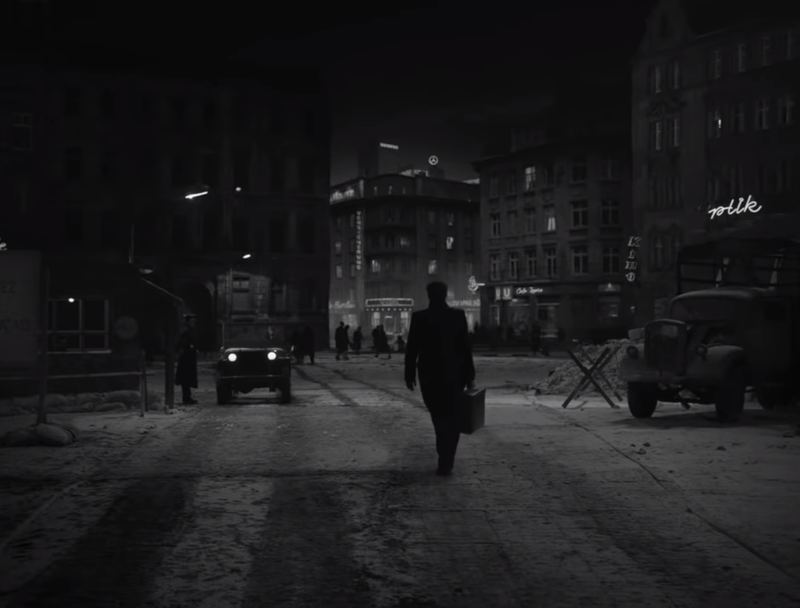 Cold War has some of the most mesmerizing cinematography I have seen in quite some time. With the runtime being only an hour and a half, Cold War feels much longer but not in a dragging or dull way. The film grows to be so captivating that it is nearly impossible to avert one’s gaze from it. Cold War, bearing extremely powerful performances from both leads, who deliver well written, emotional dialogue alongside a brilliant control over pacing, is not a sprint or a marathon, but a dessert so rich and tasteful that one enjoys it slowly without even noticing. A wonderful script, as well as soulful directing from Pawlikowski, combine ever so gracefully. Another great aspect of the film that is noticeable quite early on, but ages like exceptional wine over the course of its entirety, is its use and appreciation of numerous types of music. Starting with a group of young Polish singers and dancers who perform the rural peasants’ folk art, slowly moving into a period of smooth jazz and beautiful voices, Cold War is an ode to the various genres included, utilizing incredibly choreographed and composed performances and scores. What can be hit or miss with many films is their sense of the period they are attempting to depict. There seems to be no hesitation in Cold War with its portrayal of stressful political times in the eastern hemisphere and the gradual change in relations over the years. Set in a number of locations from Poland to Germany to Yugoslavia to Paris, the movie almost effortlessly reenacts conflicts or events of the time into the scope of the film. It accomplishes this feat in manners such as shifting the artistic aim of the traveling Polish group to include Soviet affairs and draping a giant image of Stalin behind the singers, having jazz music and poets at the celebrity parties in Paris, and showcasing the difficulty in crossing borders to neighboring countries. One scene, in particular, was so sincere and elegant yet also so simple that I feel obligated to mention it briefly. This part is from the last few minutes of the film and is very simple but communicative. With the constant buildup of this troubled love story and no outlets of relief from the tension and discomfort, the release that this very simple scene enables was so riveting that it drove me to tears. Few films can articulate the actuality and even beauty of death in the cycle of our crazy, human lives as eloquent as Cold War does in its last two lines. The movie had me entranced throughout its whole duration and broke my heart while simultaneously making me fall in love with it due to its impactful metaphor placed slyly but carefully at the true end. I believe Cold War has a high probability of winning Best Foreign Language Film at the Oscars this year, which I hope it does. It is not simply a breath of fresh and original air but is a revitalization of love in storytelling which accounts for the depressing elements of reality simply but also a tad seductively. Cold War brings viewers not a dose but a heap of something so nostalgic yet authentic with its somewhat familiar but also distinct love story which dances around the backdrop of a period piece in the garments of a deeply melancholic romance.